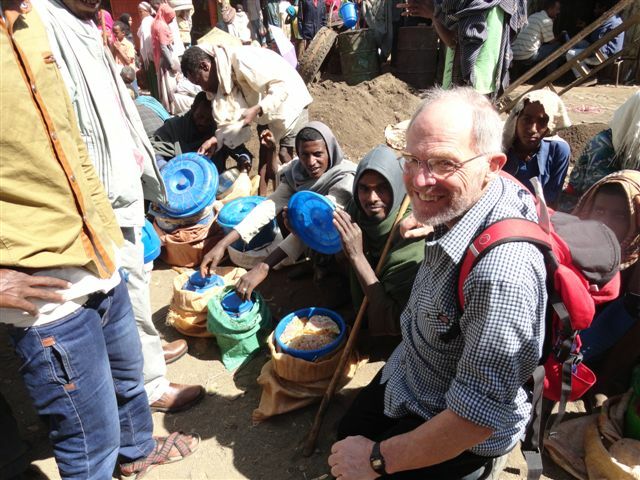 Our secretary has just returned from a 3½ week backpacking trip in the Ethiopian highlands where he spent time with the Bees for Development (BfD) Ethiopia Director Tilahun Gebey at Bahir Dar. This picture is of BfD honey for sale at Bahir Dar. Tal y Cafn apiary at 2pm. Treating the bees with oxalic acid and assessing the state of the colonies. Usually our best-attended apiary meeting of the year. Bee suits and gloves available to borrow. Bring your own wellies. Starts at 3am. See http://www.thorne.co.uk/winter-sale for list of prices. Note: We are discontinuing supplying frames and foundation via Chris Clarke, due to falling demand. See our website page Shop for other local suppliers. The Thorne’s sale is a good opportunity to stock up for the coming year at reasonable prices.